Guildford Cathedral Archives have a unique selling point – we can boast about having a complete archive, from the very beginning right to the present day we have records reflecting the life and work that goes on up here on Stag Hill. 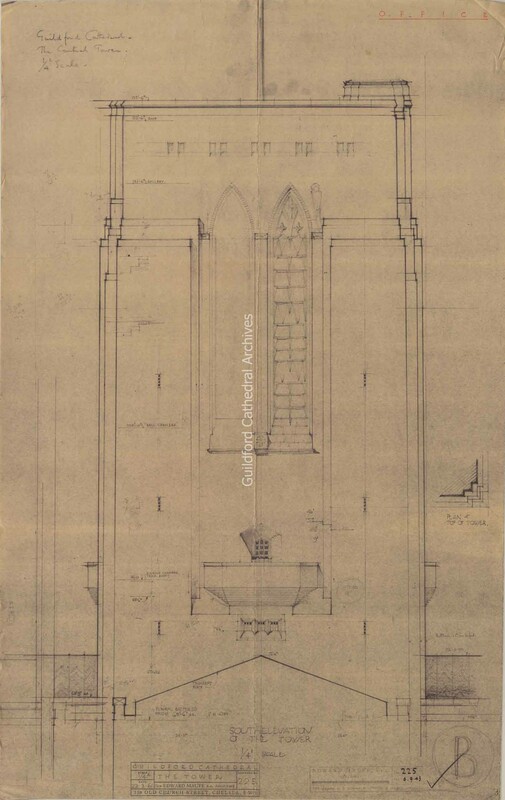 One of our most exciting items in the collection are the architectural plans by the architect Sir Edward Maufe. They provide a very interesting insight into the planning and designing of a stunning 20th Century Building. This week we bring you an interesting architectural plan for The Tower. The drawing shows the South Elevation of the Tower and the drawing was done by our architect in March 1961. It includes some interesting architectural notes and demonstrates the amount of work that was involved in designing the Cathedral. 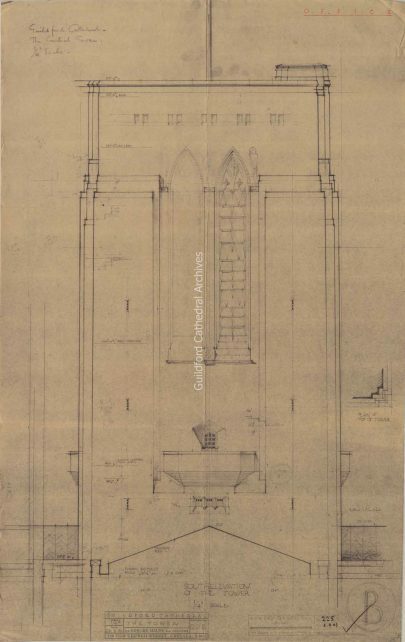 This architectural drawing is just part of a collection of plans that we have within our collection that we are in the process of digitising, please keep an eye out on our Catalogue as we will be releasing more items over the coming weeks.